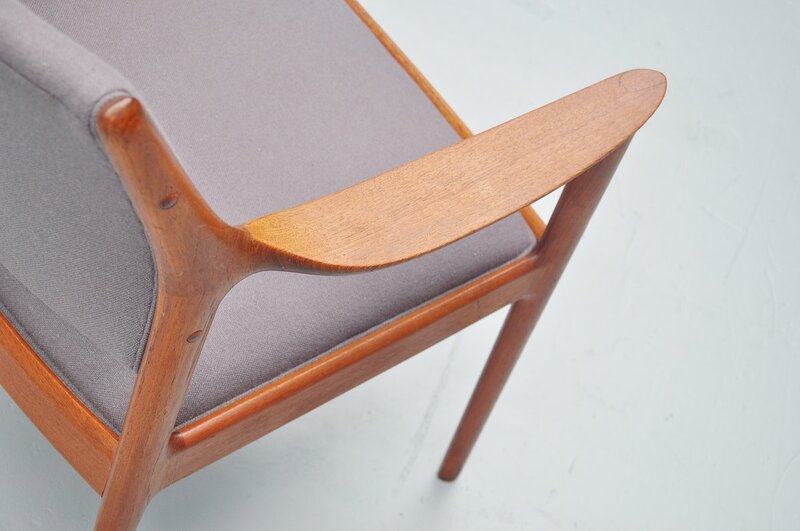 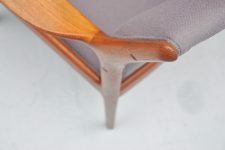 Very nice arm chair designed by Torbjorn Afdal for Nesjestranda, Norway 1960. 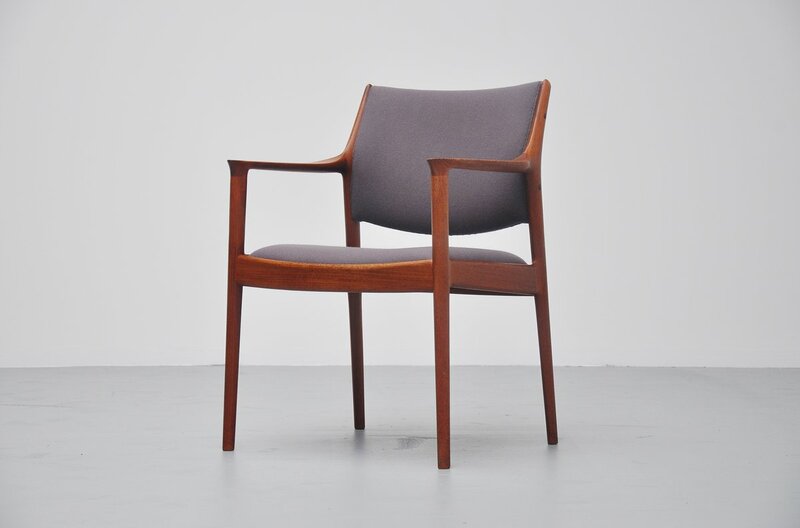 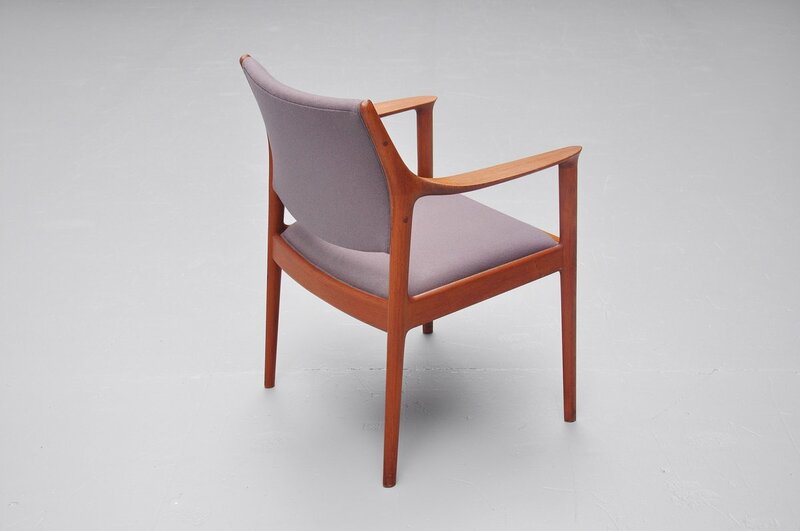 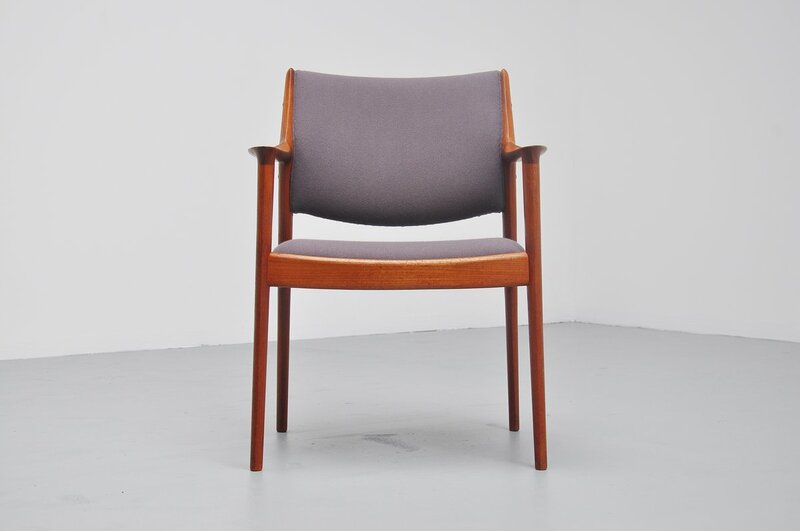 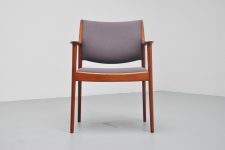 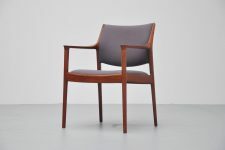 This chair was made of solid teak and has new grey Tonus upholstery by Kvadrat, upholstered like it originally was. One arm rest has a professional repair as can be seen on the pictures. 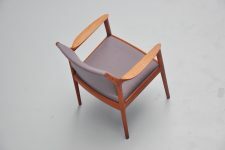 Nice and comfortable arm chair, can be used as desk chair for example.